We are now accepting entries for Junior Miss Galaxy UK 2019! All girls aged 11-14 may enter NOW! 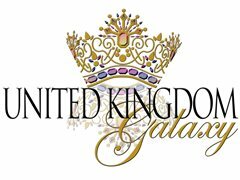 The winner of Junior Miss Galaxy UK will receive an incredible prize package, which includes a trip to the USA, a place in the international final of Junior Miss Galaxy, a voucher to spend at The Dress Studio, luxury hair products, jewellery and much more! Do you live in the UK? Or were you born there? Do you study in UK? If you answered yes to one of these questions - then ENTER NOW! The winner of Junior Miss Galaxy UK will be flown to Orlando, Florida, in the summer of 2019 to compete in the world famous Junior Miss Galaxy International Pageant with contestants from all over the world! There will also be countless other prizes for the winner and contestants too. The contest has no size, height or weight restrictions, we want to celebrate the beauty of every young woman. The UK final will be a fun-filled event in 2019, with girls from all over the country competing in different sections, including fashion and evening wear. The girls will let their individuality shine through during the pageant as they will be judged on more than their looks, it is about personality too. Previous winners of the UK Galaxy Pageants have experienced some AMAZING opportunities, which have included modelling in Dubai, making appearances in Las Vegas and helping numerous charitable causes. Next year - this could be you! So, if you are aged 11-14 and want to experience the opportunity of a lifetime enter now! There is a sponsorship fee of £300 once in the grand final.